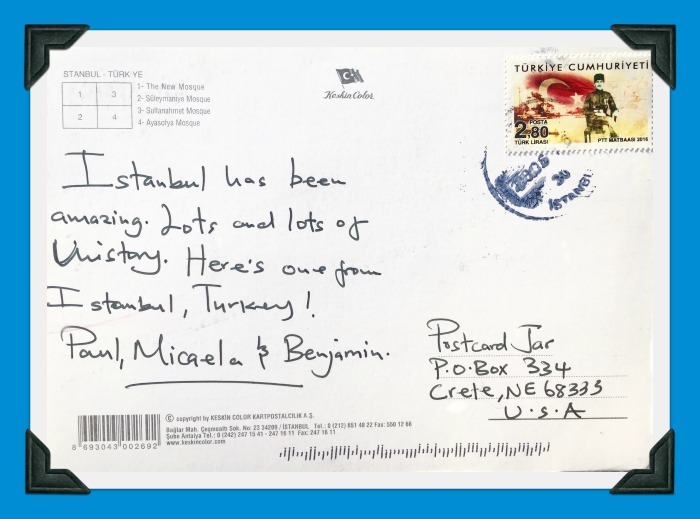 Some friends of ours, Paul and Micaela, sent us this postcard from Istanbul! Paul is a teacher in the same district where I work as a principal. Micaela is an athletic trainer at a local college and has worked some with Ann on weight training. 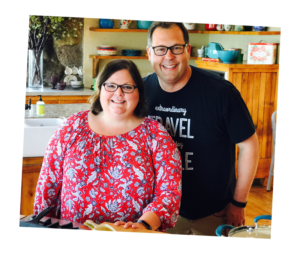 We’ve enjoyed getting to know them, but didn’t know they’d slipped off to Istanbul with their son, Benjamin, while we were away on vacation this summer. They said that Istanbul was amazing and that there is, “lots and lots of history.” They aren’t wrong. Humans settled the area of Istanbul about 3,000 years ago. First called Lygos, Greeks colonized the city in the 7th century B.C. The Romans conquered the city in AD 196 and changed its name to Byzantium. In AD 330 the city’s name was changed again, this time to Constantinople, and it was made the capital of the Roman Empire. It grew to be one of the largest cities in the ancient world with a population of about 500,000. The city’s importance continued even after the fall of the Roman Empire–eventually, it became the capital of the Ottoman Empire. In 1923, the Republic of Turkey was formed, the capital was moved to Ankara, and Constantinople was renamed Istanbul, the name it has today. So remember: Istanbul was Constantinople. Now it’s Istanbul, not Constantinople. Been a long time gone, Constantinople… Sorry, got a little carried away there.